Across the three areas that matter: Tread Design, Carcass Construction and Compound. For example, R-Tech engineering has been developed specifically for higher, modern vehicles as SUVs, to give you the most comfortable ride and precision handling for maximum safety. 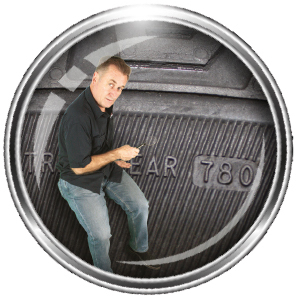 With high UTQG treadwear ratings of up to 780, you get up to 2.8 times the mileage compared to other leading brands, and with ‘A’ rated traction you get more mileage without sacrificing grip. This means you get better value for your money in the long term. • Wet Braking: stopping 12.47m sooner. • Emergency Lane Change: maintaining stability and control with an on-centre, safer lane change. 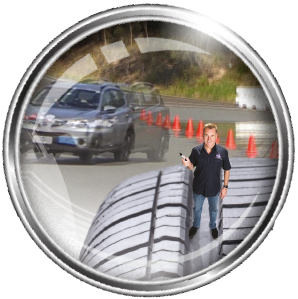 • Bitumen Slalom: manoeuvring with refined steering response, handling close to centre. 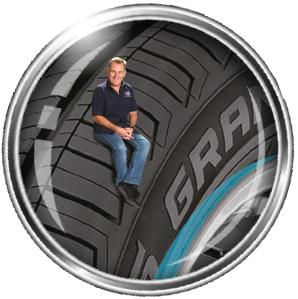 *Mileage warranty may vary depending on tread pattern and tyre size. Buy a set of 4 Cooper Tyres from our Car range at Nerang Tyre Service and recieve a free Cooper Tires gift pack worth $20RRP.